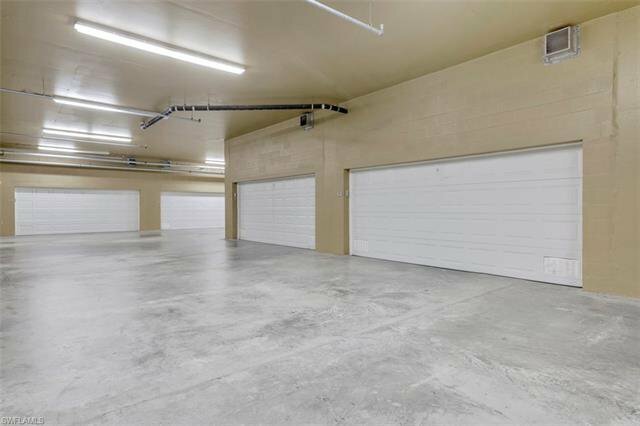 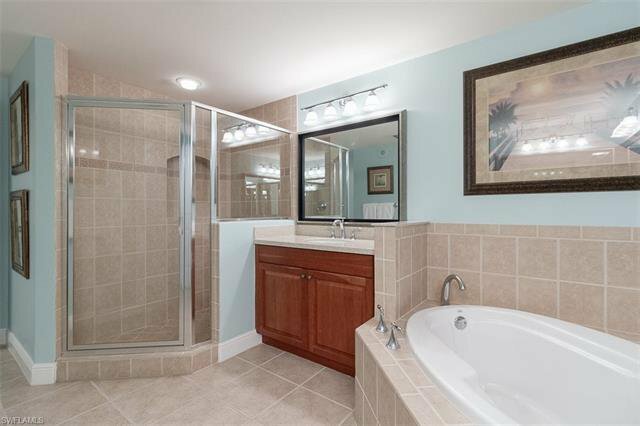 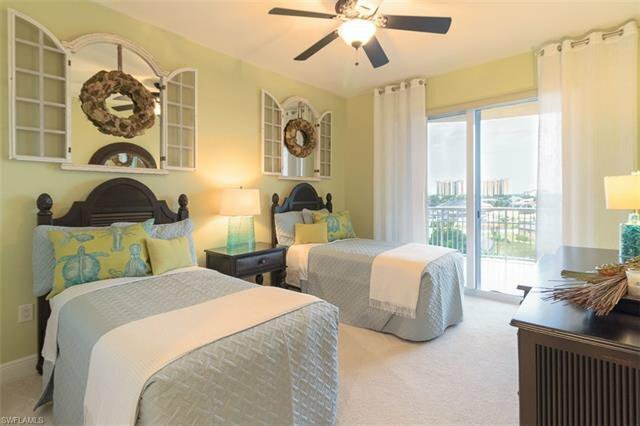 BRAND NEW CARPETING JUST INSTALLED* Move-in ready and furnished turnkey! 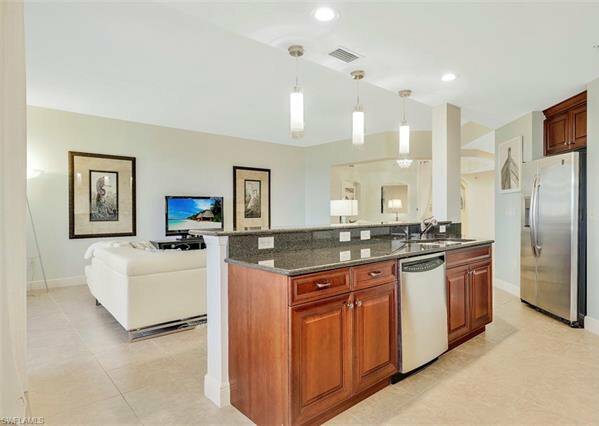 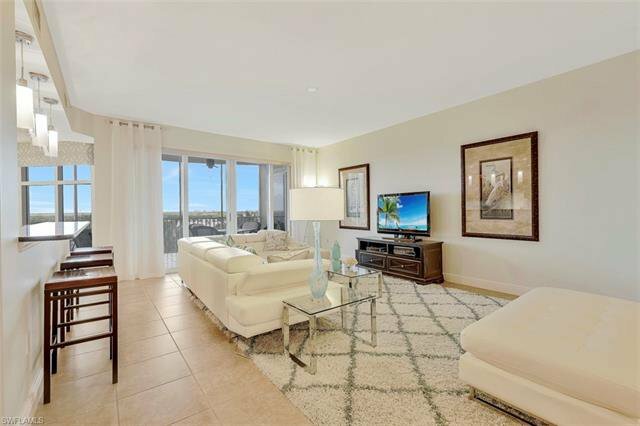 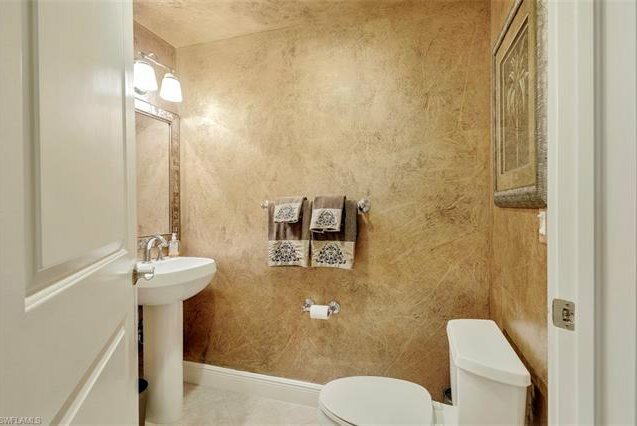 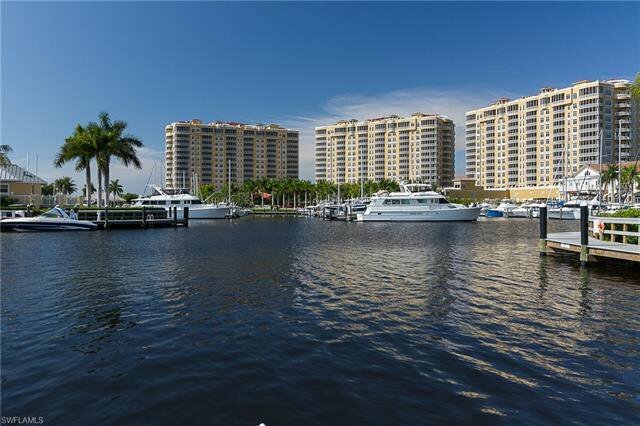 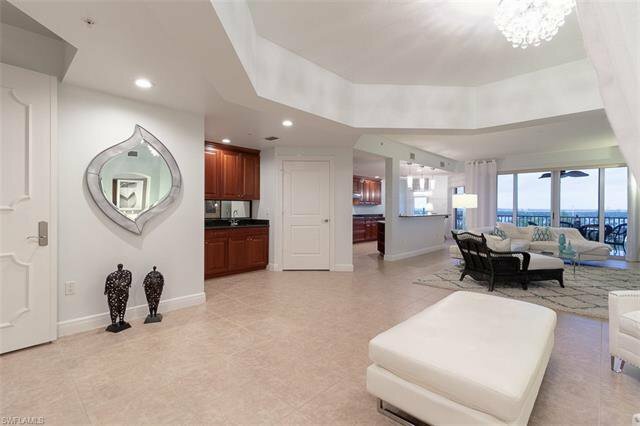 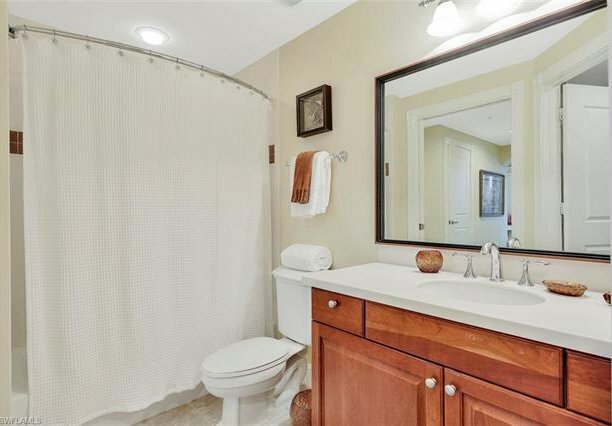 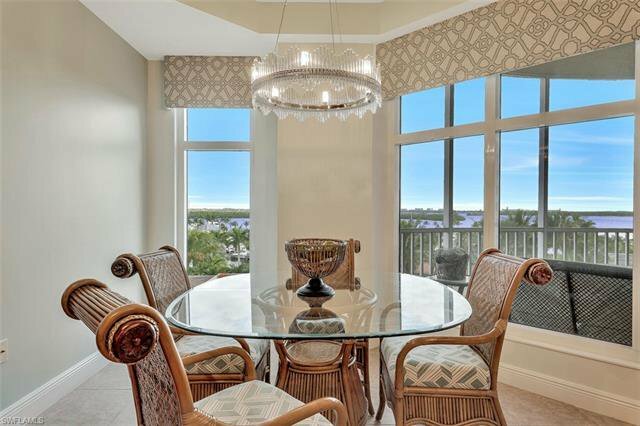 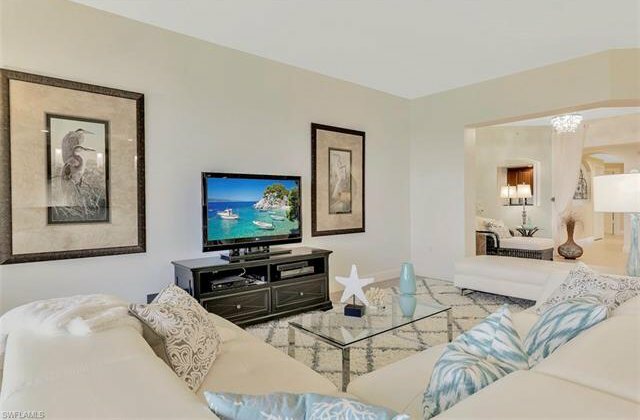 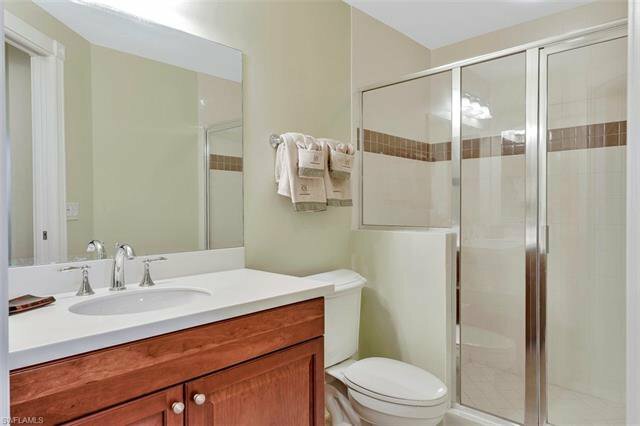 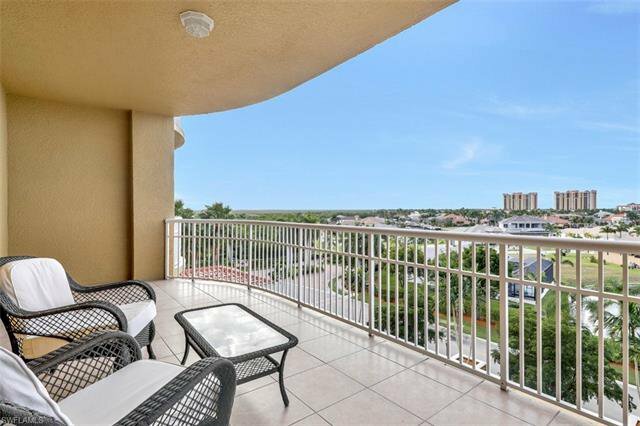 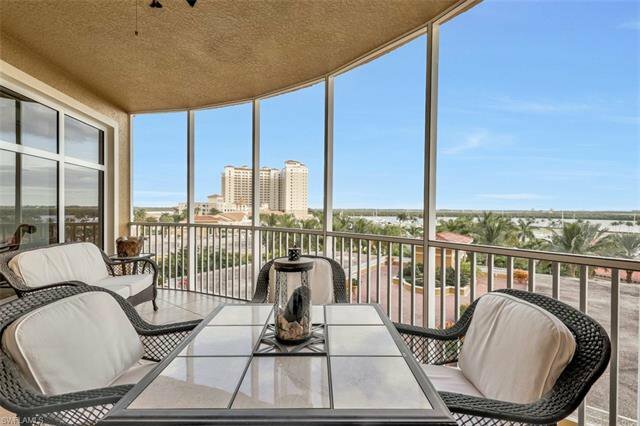 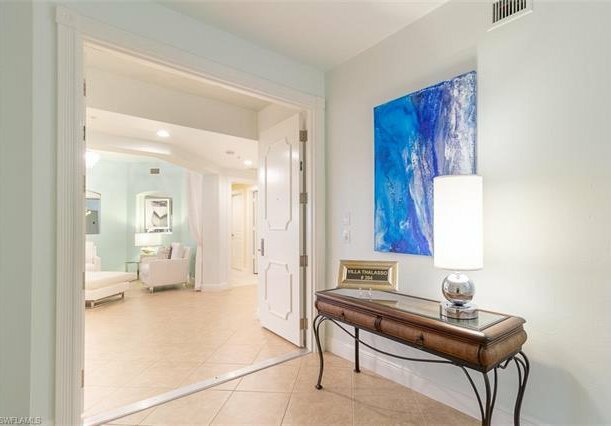 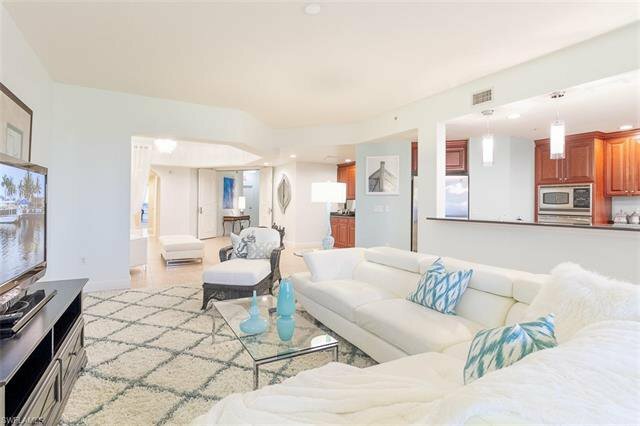 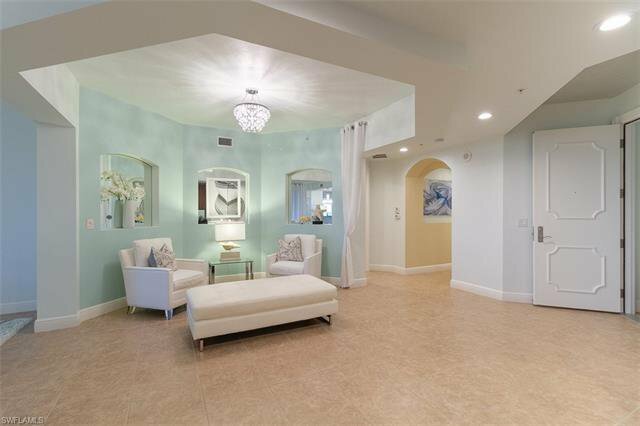 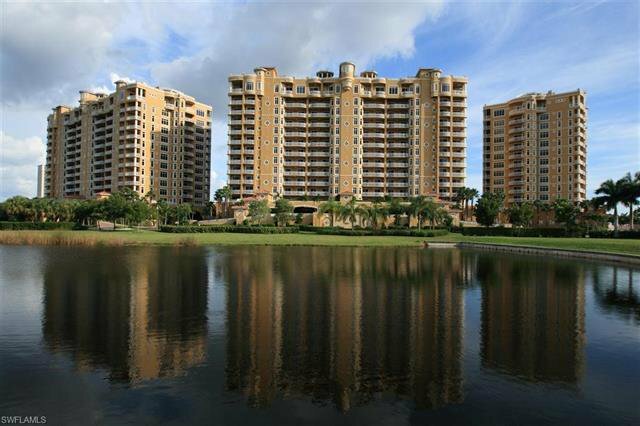 This is a spacious 3 BR + Den and nearly 2900SFLA with 2 lanais, 2-car enclosed garage and private elevator lobby. 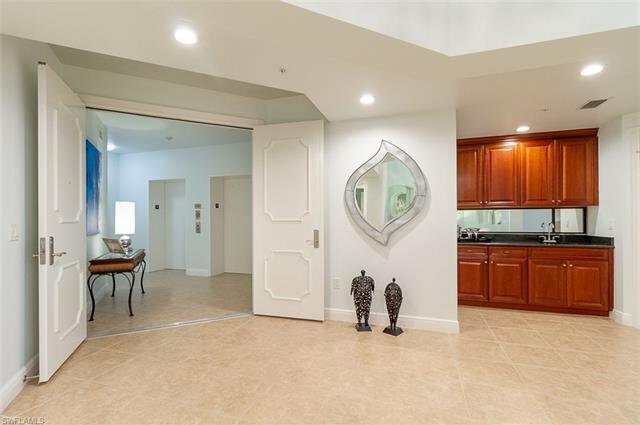 Step off the elevator to your private double door entry. 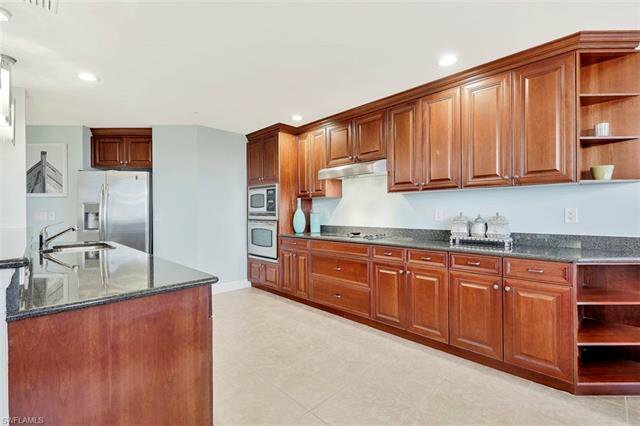 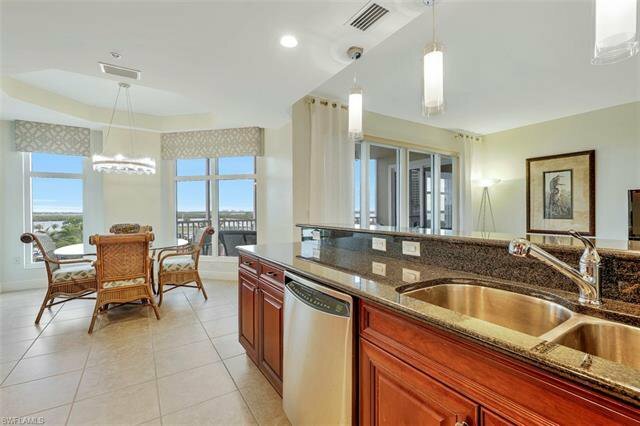 The kitchen has beautiful wood cabinetry, granite counters, SS appliances with a large pantry and cafe with water view. 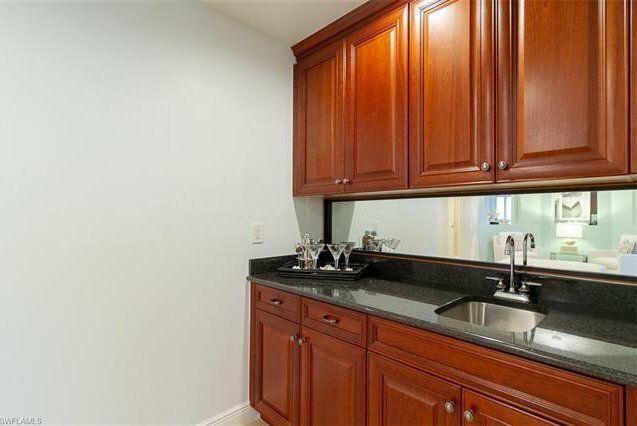 The kitchen has a bar top open to the living area providing space for entertaining. 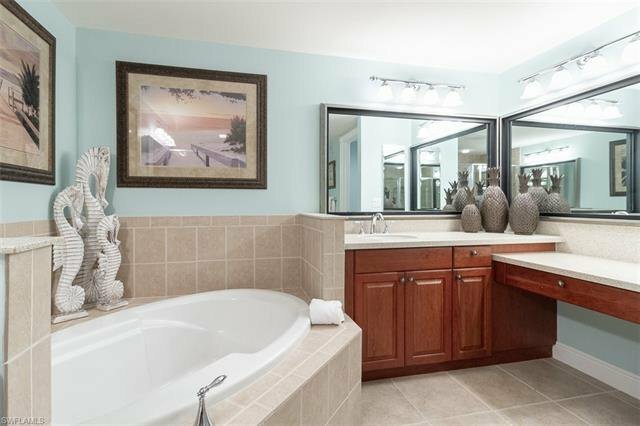 The large master suite has beautiful views to wake up to, 2 huge walk-ins, bath with double vanities, soaking tub and shower. 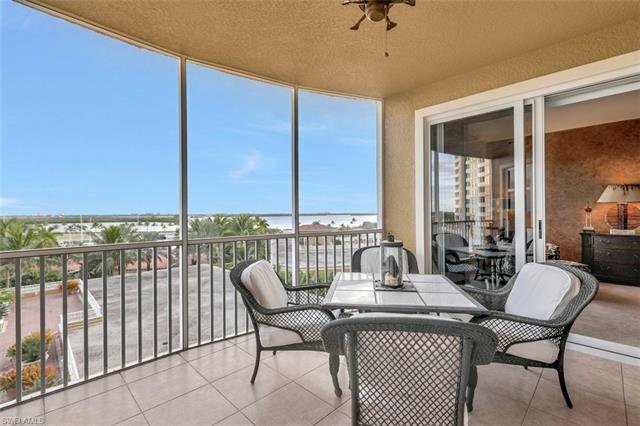 Both ensuite guest rooms and the den have sliding glass doors leading to the expansive terrace with views of Cape Coral. 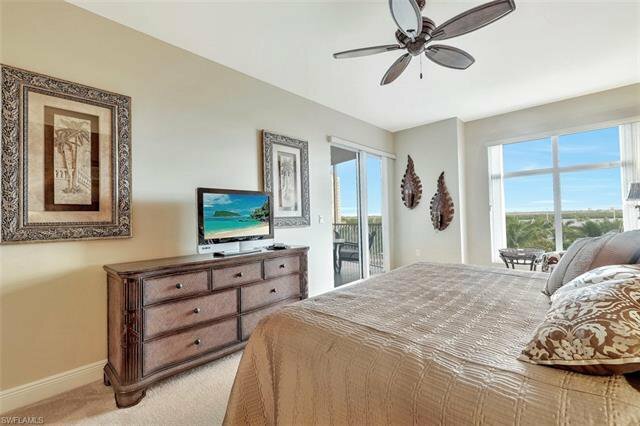 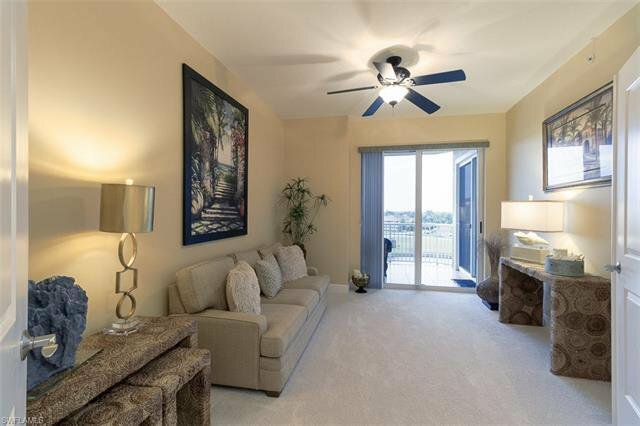 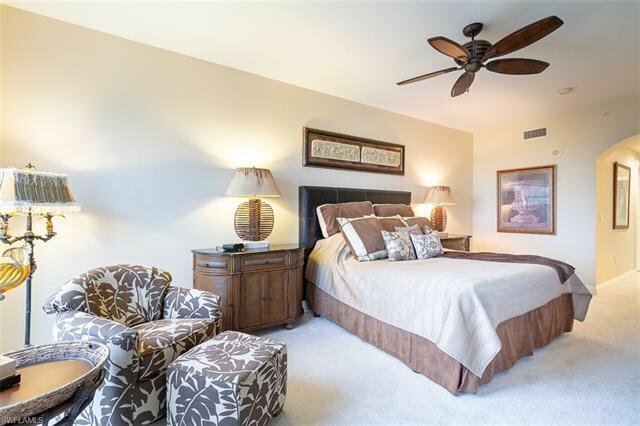 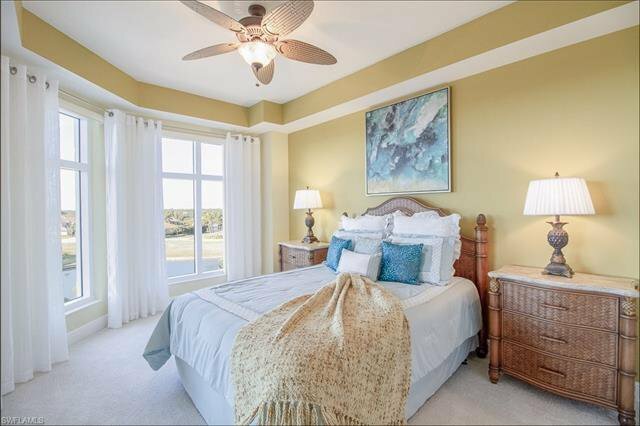 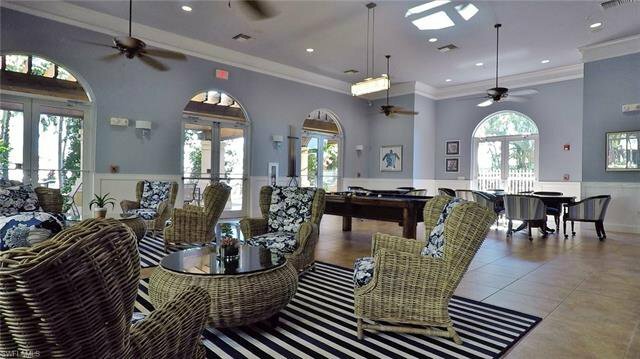 Enjoy living the resort dream all year, this IS resort living & PET FRIENDLY! 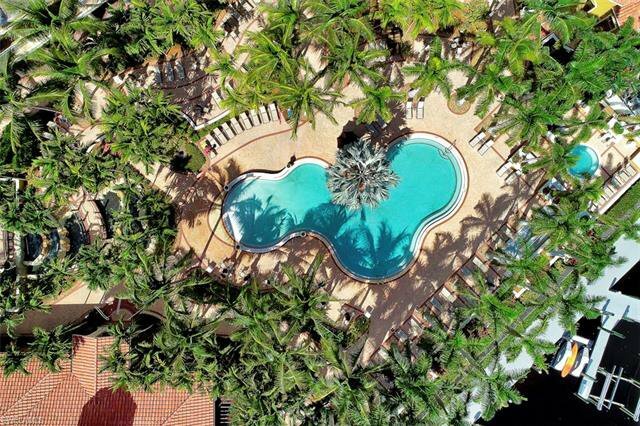 The lush pool area with walk-in entry pool, spa and gas grill station. 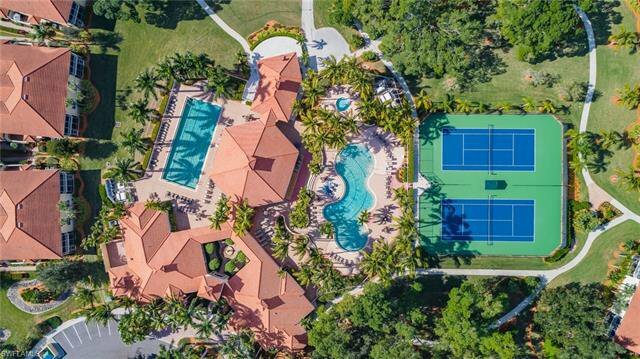 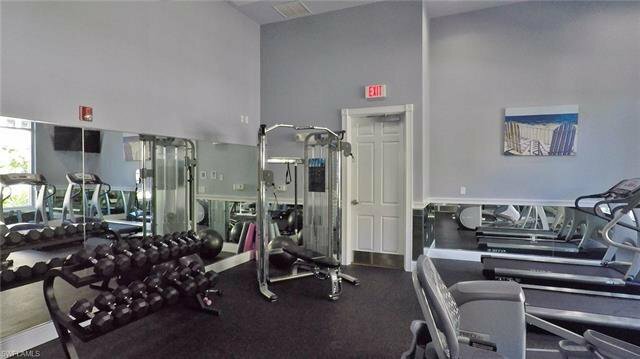 Enjoy all the amenities of this community...2 fitness centers, 3 pools one to swim laps, do water aerobics, play tennis. 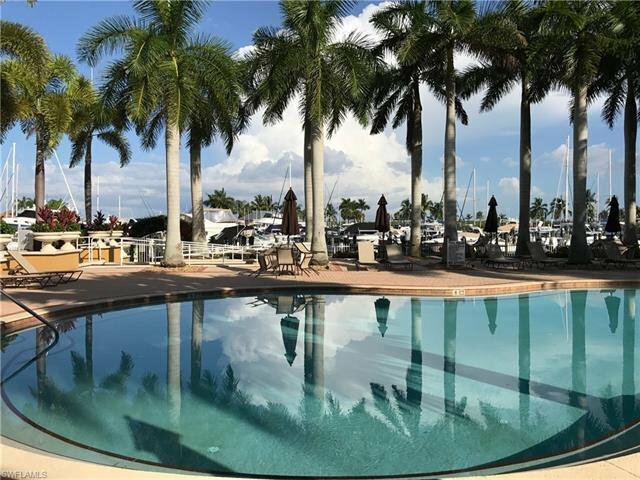 Keep your boat at the deep-water marina or rent a boat, paddle board, kayaks or a sunset cruise right from the marina. 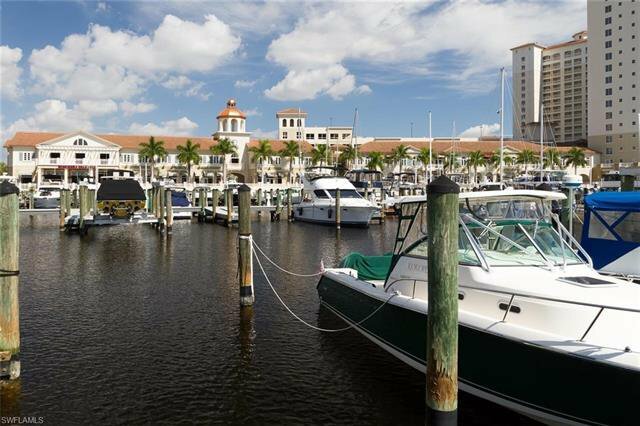 Enjoy the multiple waterfront restaurants and shops. 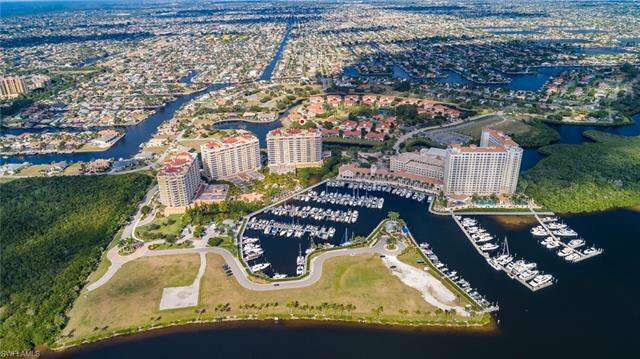 Tarpon Point is located at the southern tip of Cape Coral.